The Kristalia Sushi table is an elegant and stylish piece of furniture and one of a collection. This particular item is very popular and has been for many years, loved for its timeless style, resilience and innovative design. The table is beautiful and very versatile, perfect to use as a dining room table, a desk in an office, or table for a conference room. The Kristalia Sushi table comes in extendable and fixed versions and both designs look amazing when placed in a room with minimalist style. The extendable version, when pulled out to its full extent, still manages to retain its aesthetic style, with the legs remaining at the ends of the table and thin, sleek top remaining even and parallel to the floor. 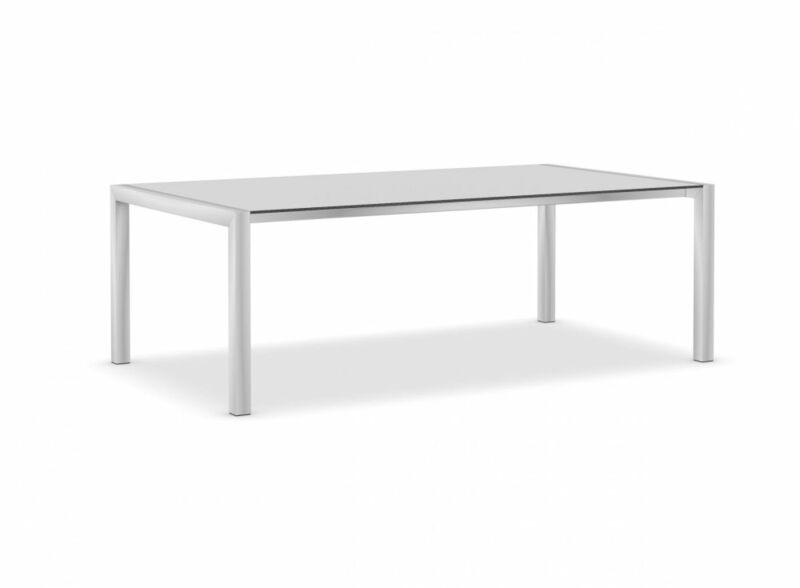 The table is strong and sturdy and simple, although unforgettable in design. This item comes with three different kinds of table top materials, the alucompact laminate, the honeycomb top and black painted glass. This innovative design is an eye-catching piece that will definitely draw a lot of attention in whichever room it’s placed in and its resilient structure ensures its great looks will be long lasting, to serve you for a countless number of years. Finix NTM temolaminate is a material produced in Italy, which is made using innovative nanotechnology. This material gives the surfaces of our Sushi table tops are lovely matt finish, for a warm and welcoming look, inviting to the touch. Table tops are easy to keep clean and are water and scratch resistant. The mechanisms used in the extendable tables are extremely precise that they merge perfectly into the design aesthetic of the table, being virtually invisible, while safe, secure and child-proof. The extendable Sushi table is also available in an attractive black painted glass top, for ultimate style and elegance of design. The table makes for a wonderful centre piece, evoking sophistication and flair to your living and working space. The fixed Sushi table will make the perfect desk for your office, while the extendable models are perfect for conference rooms, when you need to seat multiple people.